A modern firm of solicitors practising exclusively in Family Law. The Firm handles primarily divorce/financial matters, and cases concerning children as well as those who live, or have lived, together. 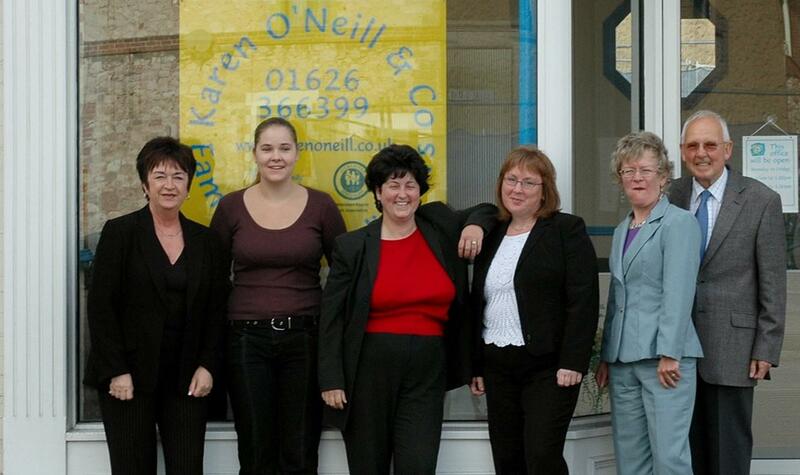 Karen O'Neill - Principal - solicitor qualified and admitted in 1993. Accredited by Resolution as a specialist in the particular fields of Children and Cohabitee matters, but experienced in the full range of family law issues. Heather Davis - Legal Executive - admitted as a Fellow in 2009, having extensive prior experience in the field of family law. Rachel Woods - Solicitor - admitted in 1996 - an experienced family law practitioner. We are authorised and regulated by the Solicitors Regulation Authority. Karen O'Neill has been accredited as a specialist by Resolution (www.resolution.org) for many years. The Firm handles only family cases, so we are specialist practitioners in this complex field. To see if we can help you - and if you like us (!) - we offer an initial meeting of up to an hour, where we can give outline advice and/or take initial instructions to get your case underway. We do not have a "Legal Aid" franchise (now called "public funding") and cannot therefore provide "legal aid". This is rarely "free" in financial cases in any event, and you can use an initial meeting to see whether you would actually benefit from public funding. We have competitive hourly rates, and accept regular payments on account of costs in order to spread the costs throughout the case. We keep a tight rein on costs, providing closely monitored cost review limits so that you don't get any nasty surprises at the end of your case! The cost of bringing a typical uncontested divorce petition with co-operative parties is usually around £500 - £550, plus VAT and court fees (currently £410). The cost of financial or children proceedings differ for every case, but you will receive tailored cost estimates before any work is undertaken.